William (Bill) Leaver received his B.S. in accounting from St. Joseph’s University in Philadelphia. Upon graduation he joined the Boston office of Deloitte Haskins & Sells and spent 10 years in increasing roles: being the manager in charge of their mergers and acquisitions practice and specializing in manufacturing companies. He has been Executive Vice President and Chief Financial Officer at KODA Enterprises Group since 1989. Mr. Leaver became a Certified Public Accountant in 1977. He has attended Executive Management courses at Harvard Business School, Northwestern University (Kellogg Graduate School of Management) and the University of Pennsylvania (Wharton School of Business). Mr. Leaver also held senior financial positions at Biogen, Inc., a publicly held international bio-technology company. 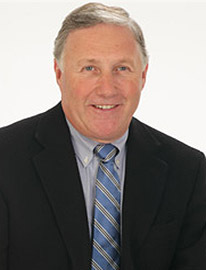 Mr. Leaver has been active on the boards of several business groups and non-profit entities including serving as President at Salem Country Club and as President of the Salem YMCA, as well as serving on the Board of the YMCA of the North Shore as Treasurer. In 2015, Bill will assume the Presidency and Chairman of the Board position of the YMCA of the North Shore which operates six YMCA branches in Massachusetts and one in Southern New Hampshire. This YMCA also owns and operates over 300 units of Affordable Housing on the North Shore in the furtherance of its Mission.